Call Ciudad Juarez as much as you want¹. Seriously. In the past, calling Ciudad Juarez landlines from the US was easy, since Vonage World® gave you unlimited¹ minutes. However, it’s 2012, not 2002, and everyone is out and about with their own cell phone. You need a provider that lets you call Ciudad Juarez mobiles without difficulty. Well, Vonage heard you loud and clear. Then, dial 656 — the Ciudad Juarez area code. And that, in four simple steps, is how to call Ciudad Juarez. But you’ve probably got friends and family in other parts of Mexico, so check out how to call Mexico to learn how to reach them all. 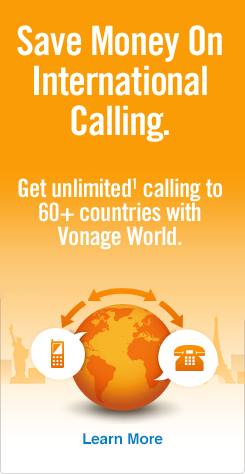 And choose Vonage World Mexico Sin Límites when you’re ready to call Mexico without limit¹! A number of notable sights are worth visiting in and around Ciudad Juarez. For tourists, Mercado Juarez is a square with Mexican knick-knacks and trinkets for sale, while Parque Central (central park) is a large recreational area just 10 miles south of the US border. Also located near Ciudad Juarez are the legendary Dunes of Samalayuca, which have appeared in multiple movies and are currently used for extreme sports practice.